If, like me, you feel totally disconnected from ” whassup?” with this generation, I highly recommend you start watching the latest, reality talent phenom, The Voice. It airs Tuesday nights on NBC. The first in the series ended last night with one of four challengers being hailed as “the voice,” in addition to walking away with $100,000 and a recording contract. Trust me when I say, I knew very few, if any, of the songs that were sung throughout the course of the competition. Every once-in-awhile I recognized a piece of something from having heard it on my car radio, as I ran errands. Fortunately I love music with a beat, or tunes that have heart. I can be-bop to almost anything. I love singing; I love dancing. Of the 4 judges, who also coached the challengers, I’d only heard of Christina Aguilera. And it was only recently when I saw her starring with Cher in a film, that I became a huge fan of the blonde songstress. She is one amazing vocalist! But as I tuned in faithfully to watch The Voice each week, I became a huge fan of Blake Shelton, country crooner, and Adam Levine, pop rocker, who served on the panel with Aguilera. I’m still not familiar with Shelton’s songs, can only recognize a couple by Levine, and am well acquainted with only one by Aguilera, “Beautiful.” Knowing who they are now, still doesn’t give me entree… into this generation. But at least I can step up to the peep hole and be a “peeping tom” into what makes the young folk tick. Adding to my credibility as an honorary member of this generation, is the fact that I’m the one who got my 25-year-old, professional dancer daughter hooked on The Voice. Like me she really wasn’t committed to watching any of the other talent shows. But The Voice definitely persuaded us to delay our phone conversations until we’d both watched it in our own time zones. Now that’s saying something! I heartily encourage seniors and anyone wanting to “get with it” to watch the next season of The Voice. By the way, the talent crosses all generations. One of the TV audience favorites was a 42-year-old, bald, Lesbian, with tatoos, who got the studio audience on their feet, moving to her powerhouse vocals. Beverly McLellan could belt it out with the best of them. She was one of my favorites. 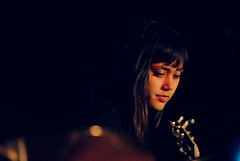 While I liked many of the singers, my favorite was Dia Frampton. 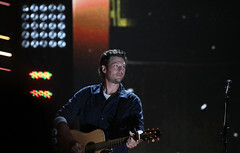 Coached by Blake Shelton, she succeeded in coming into her own as a performer, right before our eyes. Though still shy and exceedingly humble, Dia showed her creative genius for songwriting, versatility at playing the piano and guitar, and exquisitely different tonal quality which ranged from barely audible and raspy, to scintillatingly explosive. It didn’t hurt that she was Miss U.S.A. caliber either. While she wasn’t voted the winner by America, Dia wasn’t far behind. Only 2% separated her from Javier Colon, the guy who already had “the voice,” even before he joined the show. the grand prize. Evidently he’d had a couple of non-starters at a musical career. With the unfailing love and support of his wife and 2 young daughters, as well as other family members, Javier continued to search for his breakthrough moment. 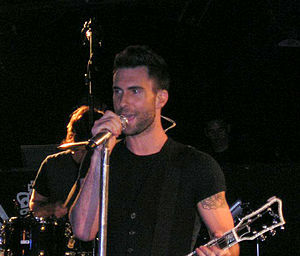 Luckily for him, and for music afficionados, he found his way to The Voice, and a win he very much deserved. …celebrating the voices…of this generation…hugmamma.